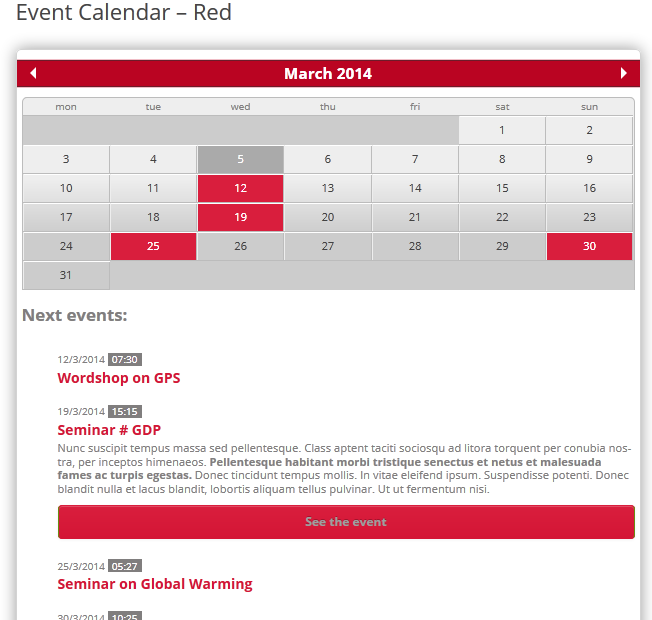 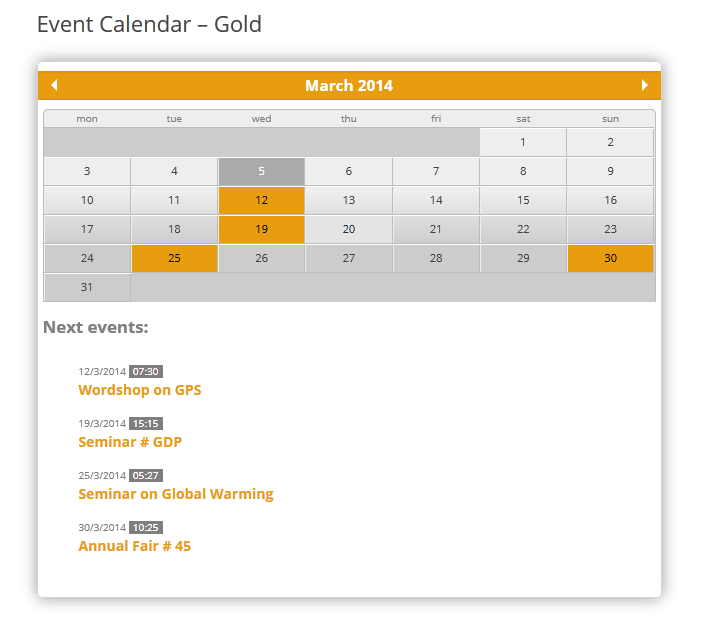 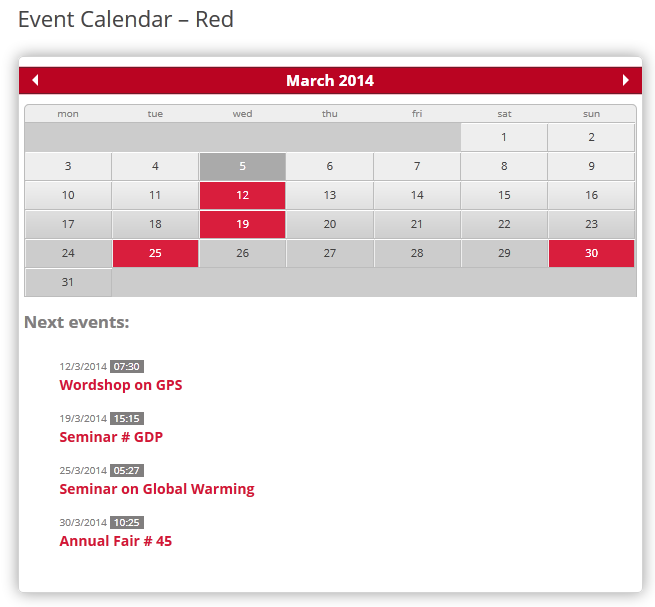 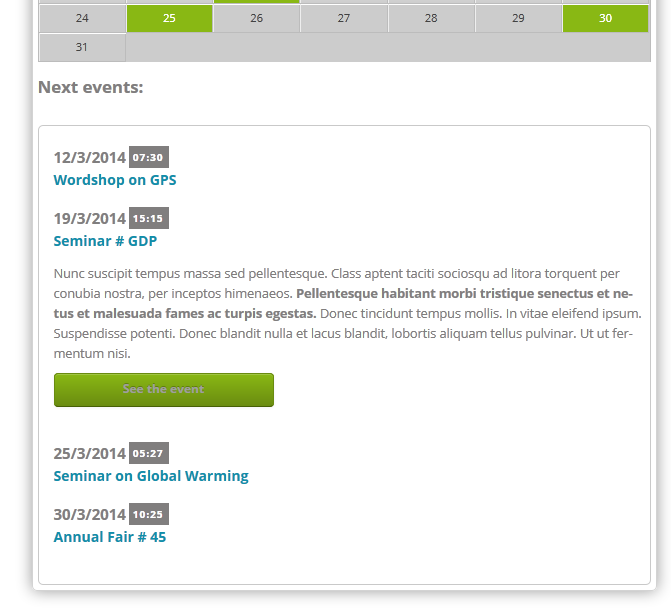 “Event Calendar Ultimate” is an Exclusive event calendar plugin for WordPress. 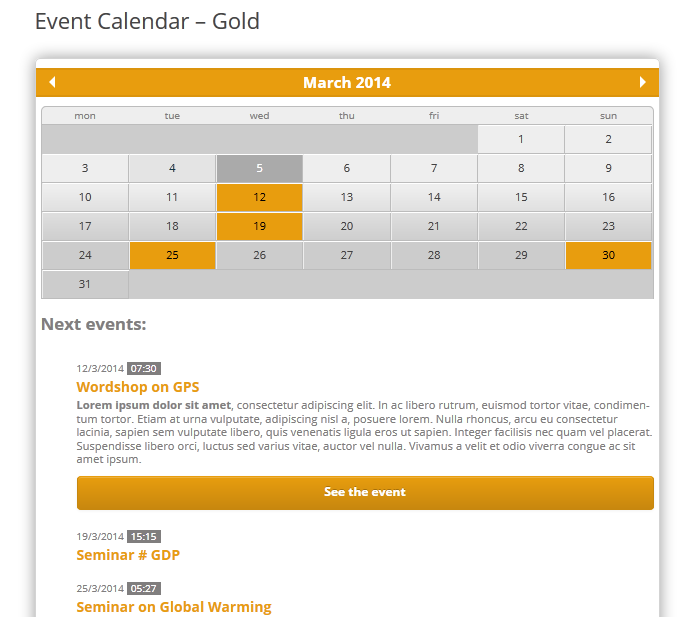 Slick and modern event management platform, powered by flexible shortcode system. 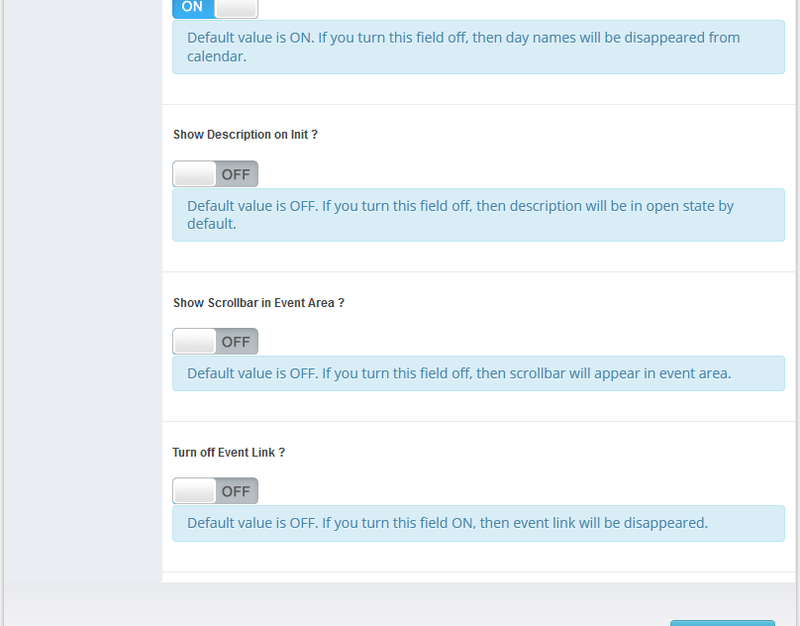 A lot of settings options available for user friendly customization. 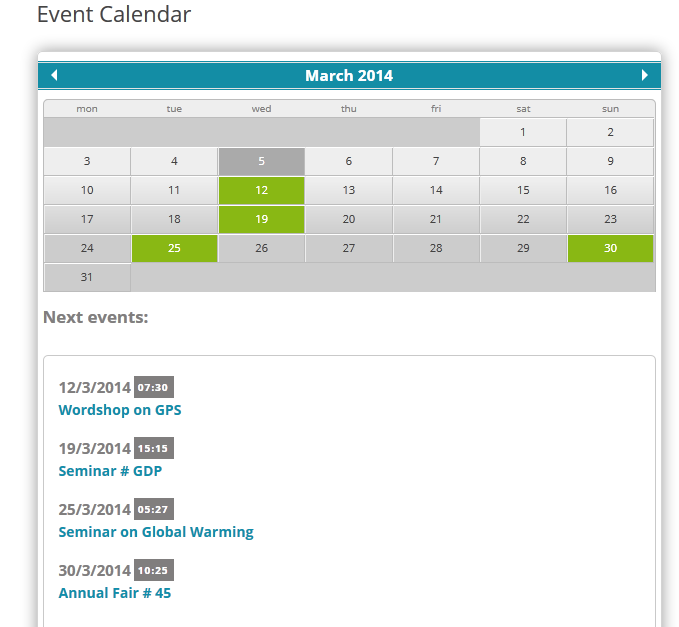 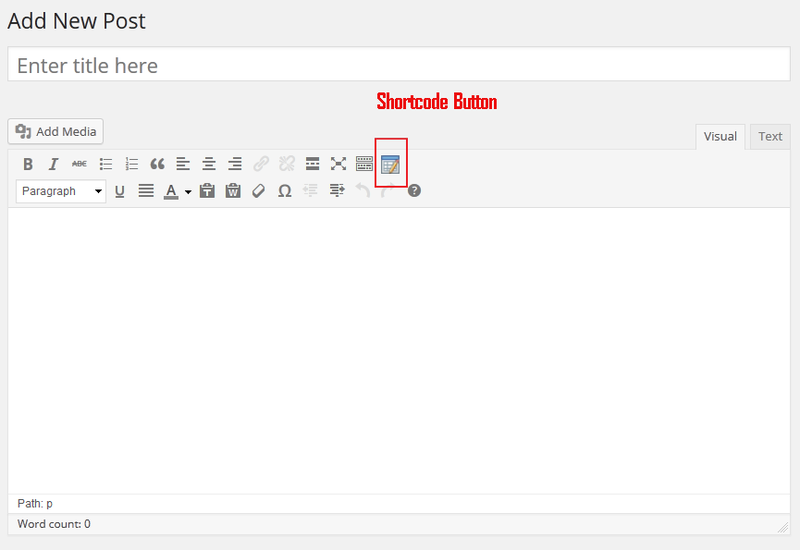 You can add an event calendar in your WordPress site easily by adding this plugin. 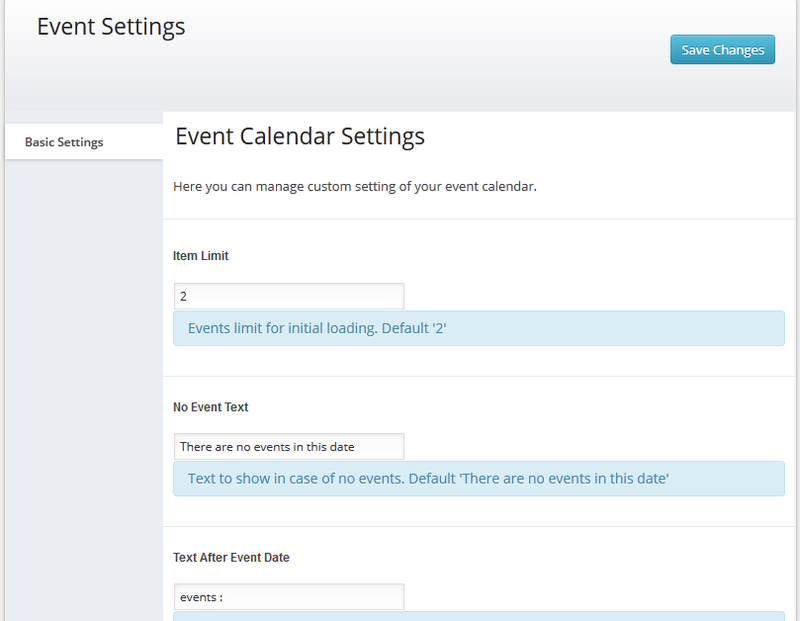 Shipped with predefined themes. 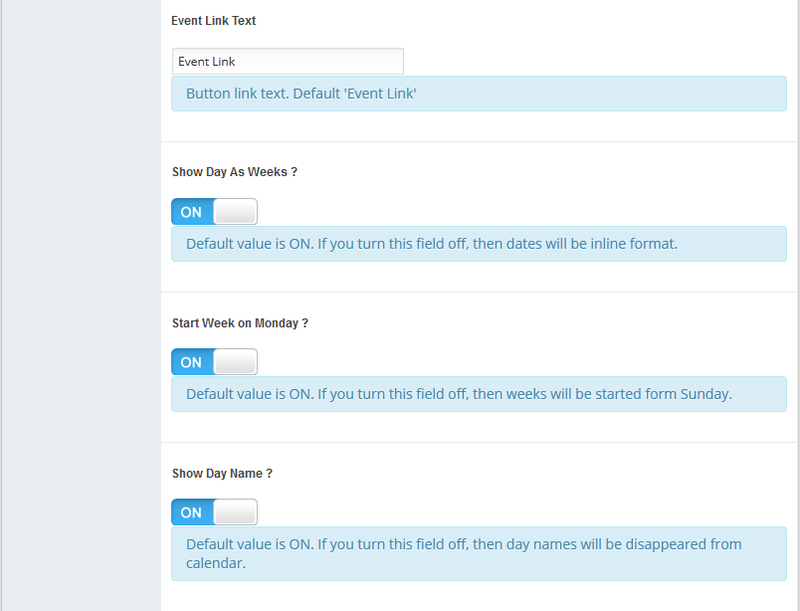 You can add your event date, title, description, custom link etc.